Cisco survey reveals large gap between trust and IoT use. 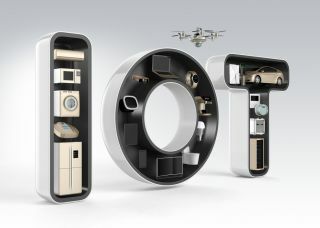 IoT devices have penetrated so deep into consumers' lives' that they would rather take the risk of not knowing what happens to the data these devices gather, than disconnect, even temporarily. This was concluded in Cisco's new report about consumer confidence in and adoption of Internet of Things (IoT) services. The IoT Value/Trust Paradox report is based on a poll of 3,000 consumers and says two things. One – very few consumers understand how their IoT data is being managed and used, and two – they don't want to disconnect, despite the uncertainty. What's also interesting is that consumers are willing to accept this risk, albeit reluctantly. “As more companies build their businesses around IoT services, they need to first understand the importance of educating customers on how they are using their data to deliver new, valuable services that will enhance their lives,” said Macario Namie, head of IoT strategy at Cisco. The complete report, including all data and additional business insights can be found on this link.